How can I change my address on a Purchase Order? 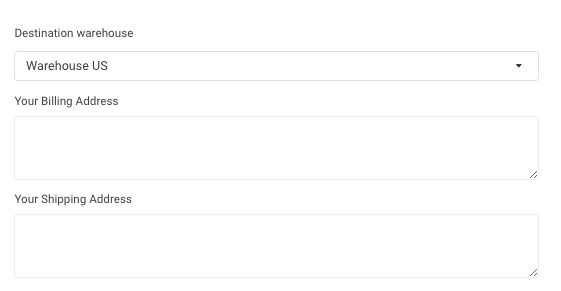 Billing and Shipping Address fields will be visible and editable. 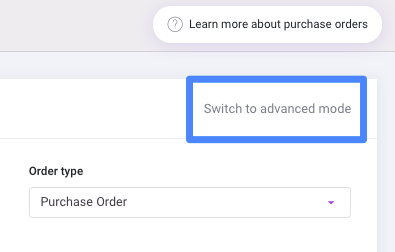 If you want to update a saved PO, first click one purchase order. If you are creating a new PO, skip the first two steps. If you are creating a new PO, start here. Click on Switch to Advanced Mode in the upper right corner. You'll then see fields for billing and shipping addresses. Once you enter this information, it is stored in Inventory Planner so you will not need to enter that each time you create a Purchase Order.